I was at a get-together last year where someone brought maple-bourbon mashed sweet potatoes. Oh my goodness. They were delicious! 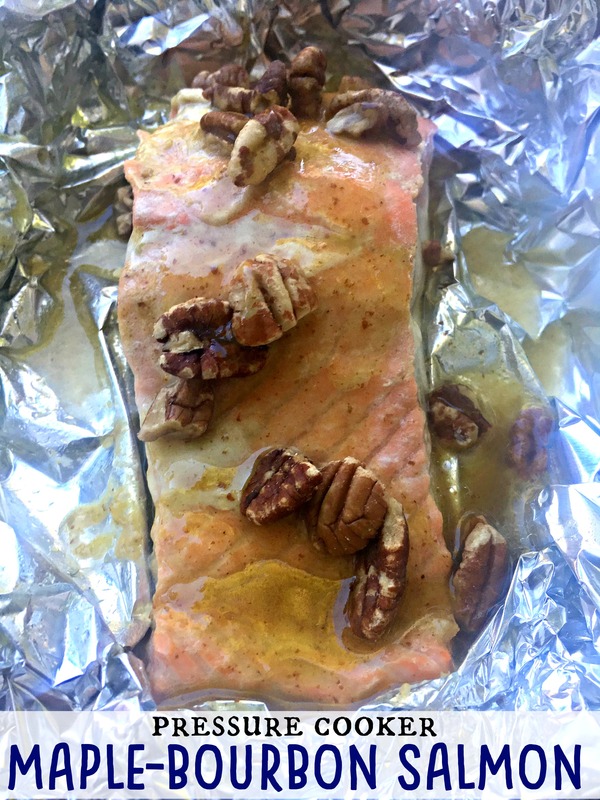 I thought it would be a great idea to try to make a maple-bourbon sauce to use as a glaze on some salmon for a meal with a festive Autumn flair! 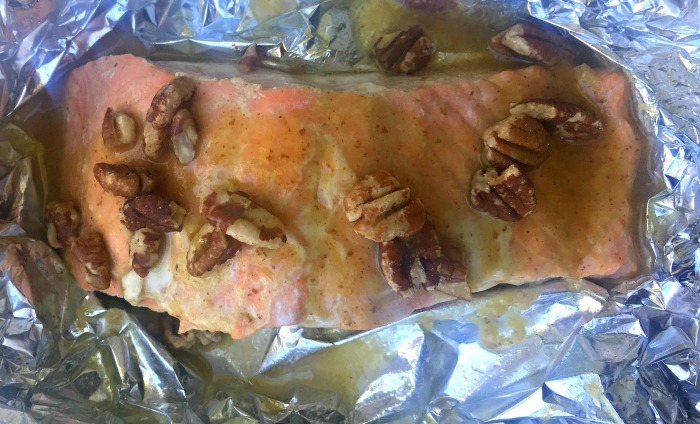 This past year, I have gotten into making perfect flakey salmon for my family. There are a lot of good reasons to make salmon for dinner. 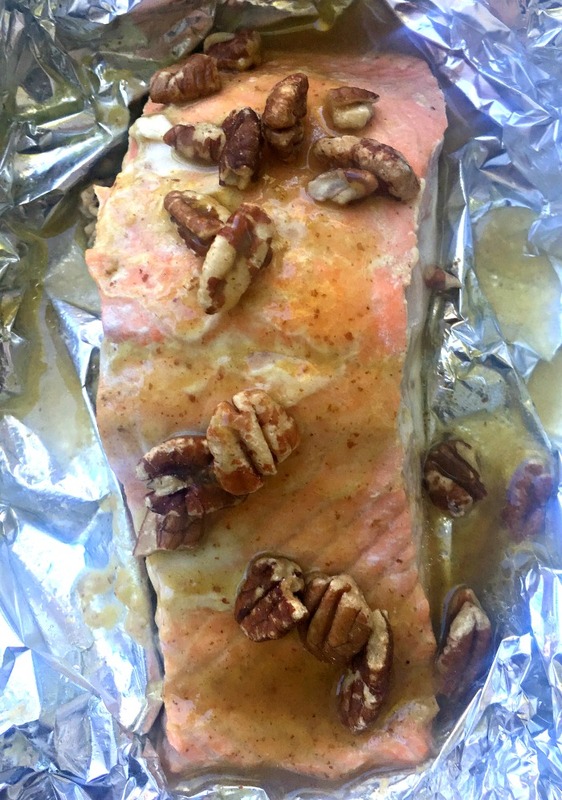 My kids love salmon! When they find out we have salmon for dinner their reactions are similar to when I tell them we have chicken nuggets. They always lap up every last bite off their plate! It cooks super fast! 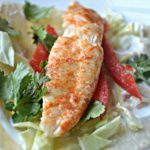 Whether you cook it stove top, bake it in the oven or steam it in your pressure cooker, it is a super quick weeknight meal! When I make salmon, I like to get a little fancy with my flavors. I love it when I make my family a restaurant-worthy meal without going out. It is cheaper than going out, and we get to stay at home. 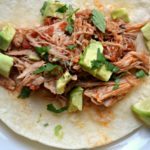 I was able to make every component of this recipe in my Pressure Cooker. 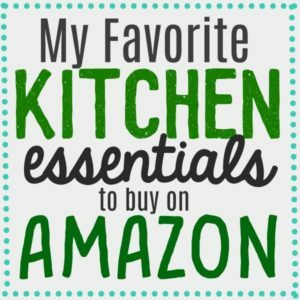 I use the Instant Pot Duo. I toasted the nuts in the pan; I sauteed the sauce. I then quickly rinsed out the pot to steam the salmon foil packets in my pressure cooker as well. Here is a video that I made to show you the steps I took to create this dish. Set your pressure cooker to the saute setting. toast pecans for 3-4 minutes and remove from pan. 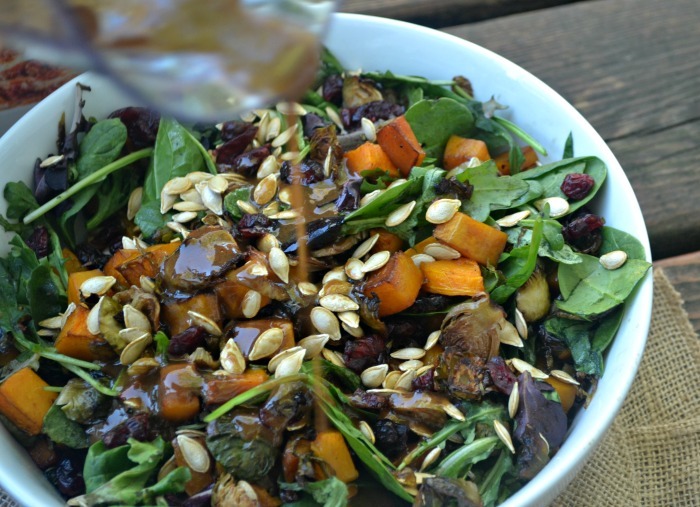 Make the maple bourbon sauce. With your pressure cooker still on the saute setting, make the sauce. 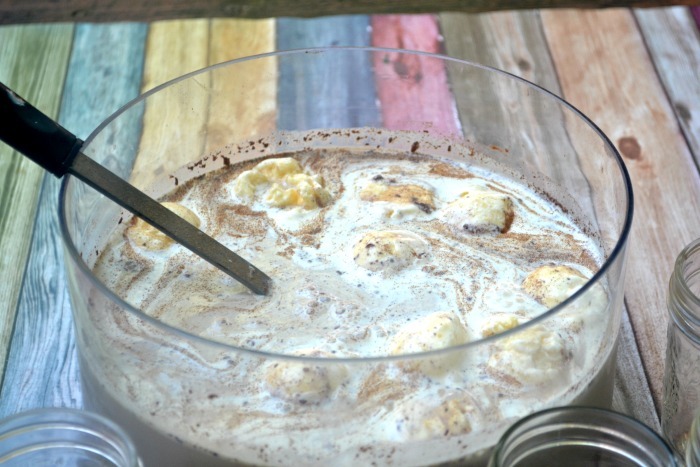 Add all of the ingredients and whisk them together. Once you see the sauce start to thicken, turn off the heat, and remove the sauce from the pressure cooker into a bowl. 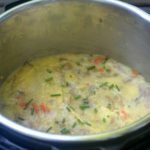 Once the pressure cooker pot has cooled down, rinse it out and place it back in the pressure cooker. Pour half the bourbon sauce in a bowl and save the rest for later. Bush half the bourbon sauce onto the pieces of salmon. 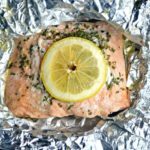 Wrap up the pieces of salmon in four pieces of foil and form a packet. Place 2 cups of water on the bottom of your pressure cooker. Add the trivet or a vegetable steamer on top of the water. 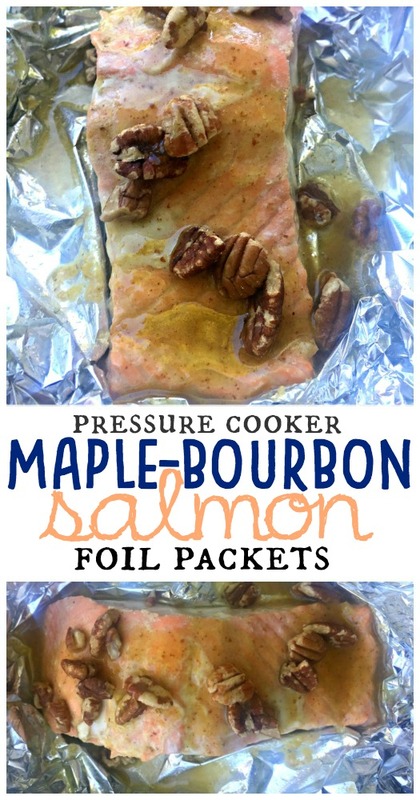 Place the foil packets containing the salmon on top. Close pressure cooker lid and cook on high pressure for 12 minutes. vent immediately, remove packets and serve. This salmon was so good! 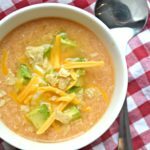 All of my kids acted like it was the best food I could ever make for them. My kids are 7, 4 and 1/2 and 2. Every time I make salmon for dinner, I will say, ” I need to make this more often”. And this time I think I really will. 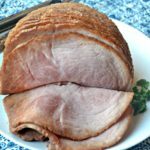 If you don’t have a pressure cooker, don’t worry! 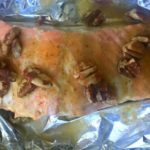 You can also make the sauce in a saucepan, and bake the foiled wrapped salmon in the oven for about 10-15 minutes, depending on the size of the pieces you have.